Salt Lake City has been booming with pop-culture-themed conventions over the past few years, but many of them treated table-top gaming and video games as side attractions—never focal points. 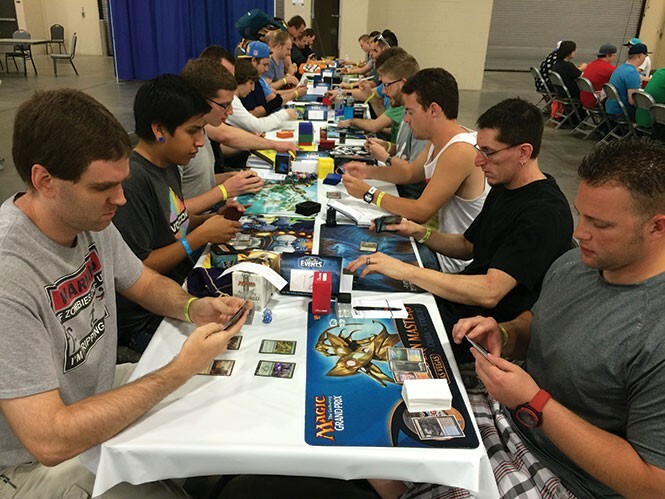 Last year, Salt Lake Gaming Con took full advantage of that opening and took off with great success. The event operated out of Sandy rather than downtown to set itself apart, while also utilizing the space given to them to provide every kind of gamer the opportunity to jump in and have fun. This year's convention (recently having a 50 percent stake purchased by Salt Lake Comic Con) returns a few months early, offering major video-game tournaments for Street Fighter V, Rocket League, League of Legends, Heroes of the Storm, Halo 5, Call of Duty, Mortal Kombat X, Hearthstone (WoW), Super Smash Bros. and Pokkén Tournament. Sony, Nintendo and Microsoft will all be on hand with playable demos of new games on the way, one of their last presentations before they all head to E3 in two weeks. Table-top gaming isn't left out of the mix either, as X-Wing and War Machine have started signing up tournament players, with more games to be added soon. The former director of the Utah Museum of Fine Arts at the University of Utah, David Dee, founded his own gallery in 2014, specializing in art of Utah and the West. David Dee Fine Arts' current exhibit, National Parks of the West: Celebrating 100 Years in the Parks, offers a collection of artworks, mostly paintings, depicting the wonders of the National Parks in our area. 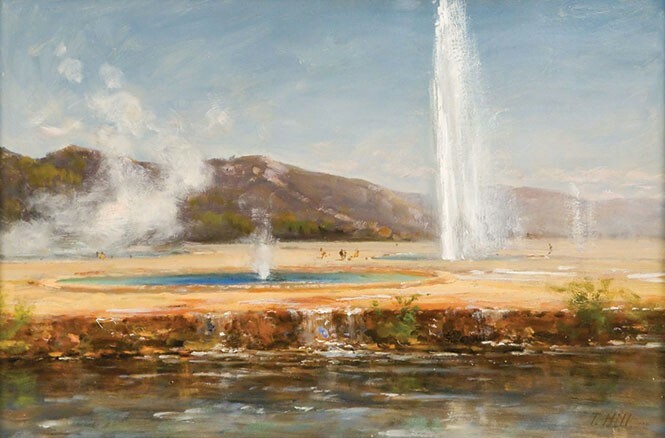 Works in the exhibit date as far back as Thomas Hill's oil painting "Yellowstone Geysers" from 1883 (detail pictured). The collection also assembles a survey of some of the finest painters in the region during the early 20th century, including Thomas Moran, whose technique on "The Grand Canyon of 1912 Arizona from Hermit Rim Road" (chromolithograph) is an exquisite blend of light and dark, and the sheer scale of the Grand Canyon. Other artists represented include Franz A. Bischoff, Gunnar Widforss, James Everett Stuart and John Fery. Over the course of 10 years—featuring everything from Medieval morality plays to a puppeteered version of the cinematic Alien saga—Meat & Potato Theatre has never taken the obvious path. And the current production of con-tem-POE-rar-y showcases a sampler platter of everything that's weird, wonderful and thoroughly unique about the company. 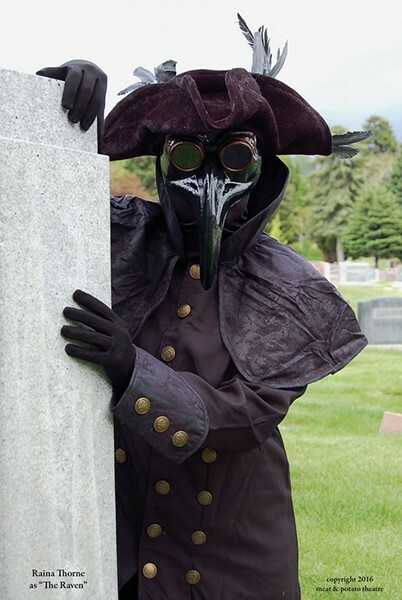 Company co-director Tobin Atkinson has adapted nine Edgar Allan Poe works for his four-actor ensemble of Jeffrey Ingman, Rebecca Marcotte, Josh Thoemke and Raina Thorne, but in no case does that mean an obvious interpretation, even of the most familiar pieces. "The Tell-Tale Heart" is rendered as broad comic pantomime; "The Purloined Letter" is set in the glasnost-era Soviet Union; the poem "The Bells" becomes a four-part variety show of song styles ranging from Sinatra swing to rock opera; and "The Pit and the Pendulum" employs an expressive puppet as its tormented hero. Yellowstone was the nation's first national park, a wild place so stunning that Americans decided it needed to be preserved for future generations. Now, 100 years later, our National Park Service oversees the care and protection of mountains, deserts, seashores, historic monuments and battlefields. Terry Tempest Williams' new book, The Hour of Land: A Personal Topography of America's National Parks, features essays that take readers on a tour of 12 of these places—from Grand Teton in Wyoming to Big Bend in Texas, and from Alcatraz Island in San Francisco Bay to Gettysburg in Pennsylvania. 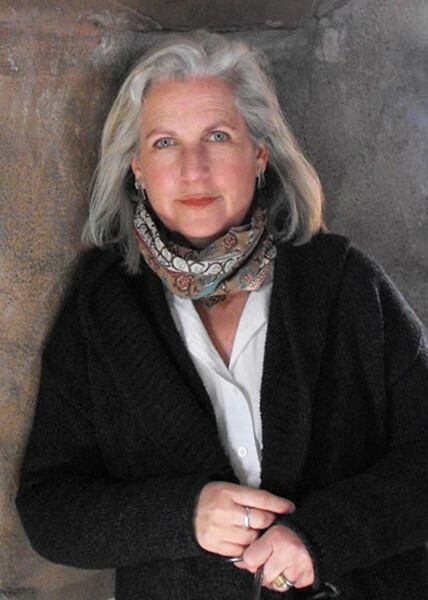 Williams, arguably Utah's best-known living author, is also one of the state's most outspoken naturalists and environmental activists: Just last month, she bid on oil-and-gas parcels at a BLM auction in a Tim DeChristopher-style protest of the sale of public lands. The Hour of Land reflects her commitment to land preservation. The stories have elements of historical storytelling, personal essay and travel writing, and all of them take a deep look at the rapid shifts wrought by climate change. After decades of drought, she writes of the Rio Grande in Big Bend National Park, the river is so shallow "that a person can walk across the river in 10 steps, maybe less." 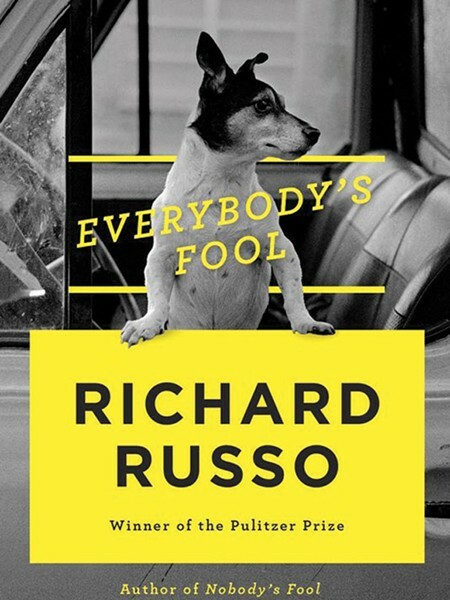 In his 1993 novel Nobody's Fool, Richard Russo introduced readers to Donald "Sully" Sullivan, an aging man in the small upstate New York town of North Bath whose life has been filled with bad decisions. A film adaptation of the book cast Paul Newman as Sully, and Russo went on to win the Pulitzer Prize for fiction for his 2001 novel Empire Falls. But more than 20 years later, the author has returned to North Bath for the sequel, Everybody's Fool.